On Janmashtami, people devote themselves completely to Lord Krishna and the entire day they sing Janmashtami bhajans. Have a look on the article to know in detail about Janmashtami Bhajans. 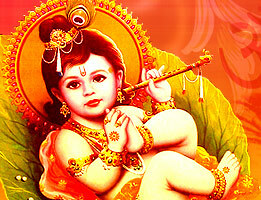 Janmashtami also called as Krishna Janmashtami is celebrated as the birthday of Lord Krishna. This occasion falls on the 8th day of the Krishna Paksha in the month of Shravana according to the Hindu calendar. The followers perform special puja and aarti at midnight and prepare various types of sweets which they offer as prasad to the God. Hence, Janmashtami is rejoiced on a grand scale by the Hindus and performances on the life of Lord Krishna are given by the artists and also, people perform dances and sing bhajans by organising a community function. No doubt, this festivity is incomplete without the hymns or the bhajans devoted to Lord Krishna. 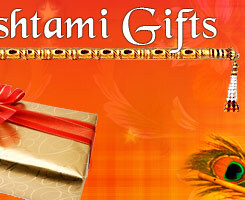 These bhajans tells about the deeds and life history of Lord Krishna along with His praise. Read to know some of the very famous Janmashtami Bhajans. chote se mere Madan Gopal. Darsh de mohe , more pran chhootat jat. Rang lo mohe, apne rang main Murari.